The Elwood community is fortunate to have high quality public education on offer from early childhood right through to VCE, with the Poets Grove Family & Children’s Centre, Elwood Primary School and Elwood College all in one neighbourhood. 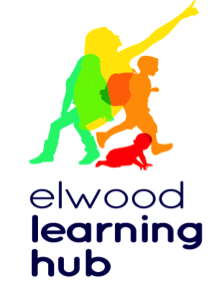 The Elwood Learning Hub is a dynamic partnership between the three settings, working together to maximise the benefits of this education pathway. Research tells us that students (aged 0 to 18) benefit from being educated in their local community, with increased resilience, school and community connectedness, and improved transitions between settings. To provide our children with the very best educational opportunities and build a sense of belonging and connectedness within the local community. To strengthen the partnership between the three settings to build a strong, confident public education system of choice, within a strong community. In a practical sense, the Elwood Learning Hub sees teachers, students and families linked together in a variety of forums. For students, this means smooth transitions and familiarity as they move from kindergarten to primary to secondary. Teachers work together to build cohesive, personalised transition programs and share mentoring and professional development opportunities. Families also become part of the Hub and enjoy stronger ties throughout their community. The Elwood Learning Hub Steering Committee includes representatives from Poets Grove, Elwood Primary, Elwood College and the City of Port Phillip.